Recognized for his gifts and passion for preaching, teaching, leadership development and facilitating strategic organizational change and turnaround, Rev. Dr. C. Anthony Hunt is a native of Washington, DC, and is an ordained elder in the Baltimore-Washington Conference of the United Methodist Church. He is currently the Senior Pastor of Epworth Chapel United Methodist Church in Baltimore, MD (www.epworthchapel.org), where he has served since July 2011. During his tenure, Epworth Chapel, an inner suburban/urban congregation with more than 1200 members, has experienced renewed vitality as evidenced by significant growth in worship attendance and membership, expansion of program ministries, facility improvements, engagement in a major strategic planning process ("Epworth 2020"), and organizational restructuring. New ministries/programs that have been initiated at Epworth since 2011 include "It Takes a Village" - an initiative to engage, connect and partner with educational institutions in the community surrounding the church, "Fishes and Loaves"- a comprehensive ministry aimed at eradicating hunger in the community, two new Bible Study groups that he teaches on a weekly basis, EpConnect - a telephone prayer ministry, a young adult praise and worship team - "Harvest", "Friday Nite Fire" - an alternative worship experience for younger persons, The Dancing Disciples Liturgical Dance Team, and the "SOUL Cafe'" - a weekly gathering and meal aimed at promoting fellowship for persons in the church and community. More than 150 new persons have become full church members, and remain active in the life of the church since Dr. Hunt's arrival as pastor in 2011. Committed to mentoring, coaching and teaching the next generation of pastors and religious leaders, Dr. Hunt and Epworth Chapel have trained and sent six persons out into pastoral ministry since his arrival, and Epworth serves as the only Baltimore-area teaching site for Wesley Theological Seminary's Practice of Ministry and Mission program (since 2013). He is a philosophical theologian who is also Professor of Systematic, Moral and Practical Theology at the Ecumenical Institute of Theology, St. Mary’s Seminary and University in Baltimore, where he has taught since 2000. The Ecumenical Institute named him the Dunning Distinguished Lecturer for Excellence in Teaching and Scholarship for both the 2003-04 and 2007-08 academic years. He is a member of the EI's Core Faculty, and in 2008 was named a Permanent Dunning Distinguished Lecturer in recognition of his ongoing excellence in teaching and scholarship. This is the highest honor bestowed on a faculty member of the Ecumenical Institute. He is the lead faculty in the Urban Ministry concentration, and has served as lead convener of the Biennial EI Festival of Preaching. He is also a member of the core faculty, teaching Systematic and Practical Theology in the joint Doctor of Ministry program of the Ecumenical Institute and Ashland Theological Seminary, Ashland, Ohio. He is also a Faculty Fellow and the E. Franklin Frazier Professor of African-American Studies at the Graduate Theological Foundation in Mishawaka, Indiana. The designation of Faculty Fellow is the highest distinction bestowed on a faculty member of the Graduate Theological Foundation. Additionally, he teaches on the adjunct/partner faculties at Wesley Theological Seminary in Washington, DC, and United Theological Seminary in Dayton, OH, where he developed and serves as the Faculty Mentor for the "Enacting Dr. Martin Luther King's Beloved Community" Focus Group, and as a part of the core teaching faculty, developed and has taught the third-semester plenary module on Interdisciplinary/Theoretical Foundations. The MLK/Beloved Community Focus Group is believed to be the first and only Doctor of Ministry program in the U.S. focusing on the study of Dr. Martin Luther King, Jr. and "Beloved Community" as the corpus of community action and social justice. At Wesley Seminary, he is a part of the core partner faculty in Congregational Life and Ministry, with ongoing teaching responsibilities in the Urban Ministry program, in the Practice of Ministry and Mission as a colloquy leader and cultural immersion leader in Baltimore and Alabama, in the African American Church Studies program, and in the Course of Study School where he teaches Systematic Theology. He has served as doctoral advisor for over 30 scholars. His teaching and research concentrations include Systematic Theology, Philosophy, Ethics, Economics, Africana and Black Church Studies, the Civil Rights Movement, Martin Luther King, Jr., Howard Thurman, Urban Theology/Ministries, Leadership, Church Growth, Multiculturalism, World Religions, Deitrich Bonhoeffer, Henri Nouwen and Mohandas K. Gandhi. A graduate of the University of Maryland with a BA in Economics (with Honors, with concentrations in Econometrics and Applied Mathematics, and graduate teaching assistant), he holds advanced degrees from Troy State University (Master of Science in Business Management (MBA equivalent)), Wesley Theological Seminary (Master of Divinity with Honors, Wesley Merit Fellow (full scholarship) with a concentration in Systematic Theology, and graduate teaching assistant in Theology and Methodist History for Dr. James Cecil Logan), St. Mary’s Seminary and University (Graduate Certificate in Spiritual Theology); and the Graduate Theological Foundation, in affiliation with the University of Oxford, UK (Doctor of Ministry in Pastoral Theology and Ph.D. in Philosophical Theology). His doctor of philosophy dissertation, successfully defended on September 10, 2001, was titled “The Search for Peaceful Community: A Comparative Analysis of the Thinking of Howard Thurman and Martin Luther King, Jr.”, and his Doctor of Ministry project dissertation, successfully defended in 1999, was titled, "The Church's Role in African-American Family Preservation." Dr. Hunt has completed two years of additional studies in Philosophy at the University of Oxford, UK (concentrating in social/political philosophy), and in 2004 he completed a three-year post-doctoral fellowship in Pastoral Theology at the Center of Theological Inquiry, Princeton, NJ. (Pastor-Theologian's program), and has completed a post-Graduate Certificate program in Advanced Leadership at the Institute of Certified Professional Managers, James Madison University (he holds the credential of Certified Manager). He has also completed training in CoActive leadership coaching with the Coaches Training Institute, San Rafael, California, and the Life Coaching Certification Program with the Life Coaching Institute, Costa Mesa, California (he holds the credential of Certified Professional Life Coach). Both of these programs are International Coach Federation affiliated and approved. He has completed additional training in Advanced Strategic Leadership Coaching at the Harvard Extension School, Cambridge, MA. Dr. Hunt is a Distinguished Graduate of the U.S. Army Officer Candidate School, Fort Benning, Georgia, and has completed residency programs in clinical pastoral counseling at Walter Reed Medical Center in Washington, DC and Johns Hopkins University Hospital in Baltimore, MD. He is a member of the American Academy of Religion, the American Philosophical Association, and the Oxford Philosophical Society. In May 2016, he was the recipient of the Society of John Wesley Award of Merit and inducted into the Society of John Wesley, which is the highest honor bestowed on an alumnus of Wesley Theological Seminary. 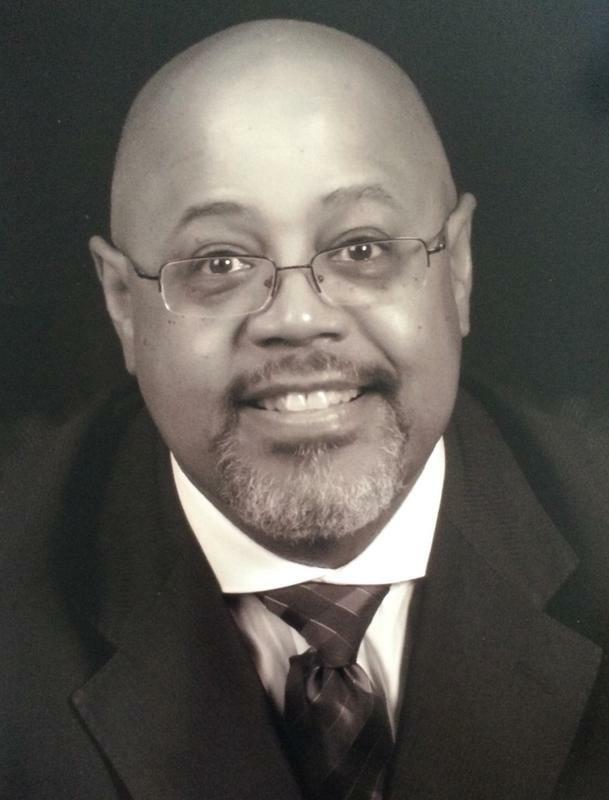 In April 2019, Dr. Hunt was inducted into the Martin Luther King, Jr. International Board of Preachers at Morehouse College, Atlanta, GA, and in April 2019 he was also inducted as an Inaugural member of the Pastor's Hall of Fame at historic Sharp Street Memorial United Methodist Church, Baltimore, MD. From 2004-2012, Dr. Hunt served as the District Superintendent of the Baltimore Metropolitan and Baltimore-Harford Districts of the United Methodist Church where he provided spiritual, administrative and missional-strategic leadership with 88 congregations in the greater Baltimore area. In 2008, he was appointed as the founding/organizing superintendent of the Baltimore Metropolitan District and as Executive Director of "Hope for the City," where he had primary responsibility for developing and implementing the United Methodist Church's ten-point strategic plan for ministry in Baltimore (www.newurbanministry.blogspot.com). "Hope for the City" was widely viewed as a model for strategic development of urban ministry in a major U.S. city, both within the United Methodist Church and across much of the ecumenical and interfaith communities. With Dr. Hunt's leadership, program accomplishments of "Hope for the City" included - the development and implementation of Camp Life (which served over 450 youth affected by inner city violence), Hope Fellows (aimed at developing high potential urban ministry leaders), Project Hope (aimed at helping improve the historic Mt. Auburn Cemetery), the Hope Fund (aimed at identifying resources to fund new urban initiatives), the Hope Council (a city-wide collaborative of church and community program agencies), The Hope Academy - an annual Urban Convocation aimed at training church leaders (where over 600 lay and clergy persons were trained), and 9 new Communities of Shalom (Shalom Zones) in the city of Baltimore. From 1998-2004, he was the Executive Director of the Multi-Ethnic Center for Ministry of the Northeastern Jurisdiction of the United Methodist Church, based in Columbia, MD. His responsibilities at the Multi-Ethnic Center involved providing regional and national leadership in the program areas of multicultural leadership development, congregational revitalization, and racial justice. While at the Multi-Ethnic Center, he worked closely with the Center's Board of Directors in engaging in a highly successful re-visioning and reorganization process, resulting in the implementation of a comprehensive strategic plan, renewed vitality, and fiscal growth. A part of his work with the Multi-Ethnic Center involved developing close collaborations with the graduate theological schools at Wesley Theological Seminary, and Boston and Drew Universities - aimed at facilitating intentionality on issues of multi-cultural/cross-cultural student, faculty, leadership, program and curriculum development. At Wesley Seminary, he was the co-developer/co-director of Doctor of Ministry programs in “Race, Ethnicity and Ministry in Wesleyan Perspective” (2000-2004), and “Leadership in Multi-ethnic Ministry” (2005-2009). At the time of their development, these were believed to have been the first Doctor of Ministry programs in the United States focuced specifically on race, ethnicity and multiculturalism. Another of the highlights of Dr. Hunt's programmatic work with Wesley Theological Seminary is the development and implementation in 2006 of "Retracing the Steps of Freedom", a doctoral immersion course in Alabama, where to-date over 100 graduate students have studied the history of the American Civil Rights movement and the principles of Gandhian/Kingian Nonviolence, Peacemaking, Conflict Resolution, Community-building and Beloved Community. Dr. Hunt previously served as the Senior Pastor of the historic Sharp Street Memorial United Methodist Church in Baltimore, MD (2003-04); Ames United Methodist Church in Bel Air, MD (1992-98); and Asbury-Willisville Chapel UMC in Middleburg, Virginia (1990-92); and as Assistant Pastor and Program Director of Outreach and Education at Gibbons UMC in Brandywine, MD (1988-90). He has also served as Dean of Haebler Memorial Chapel and Visiting Professor of Philosophy and Religion at Goucher College in Baltimore; as Adjunct Professor of Philosophy and Religion at Harford Community College in Bel Air, MD; as Program Director of the Center for Community Action and Social Justice at American University's Kay Spiritual Life Center; as a Chaplain in the U.S. Army; and as a visiting Lecturer at Africa University in Zimbabwe, Southern Africa. He is founder and CEO/principal of New Horizons Coaching and Consulting, and serves as lead consultant. 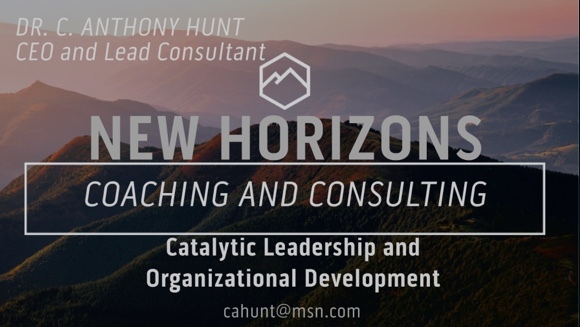 New Horizons focuses on coaching non-profit leaders in the areas of Catalytic Leadership coaching, Whole-Life coaching, life-work balance and prioritization, non-profit organizational and leadership development, strategic planning, change management, project management, turnaround strategies and diversity/cultural competency training. 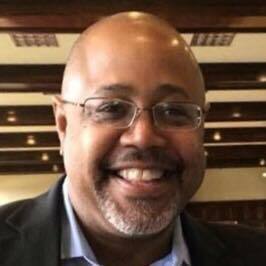 In his role as consultant, he has worked with over 150 churches and non-profit organizations, and as a leadership and life coach, he has worked with over 125 religious and non-profit leaders and performed over 1250 hours of leadership/life coaching, with a focus on visioning and futuring, strategic planning, turnaround strategies, organizational change, and multicultural change. Dr. Hunt has been a senior urban consultant with the American Bible Society, based in New York City and Baltimore, and has been a senior consultant with the United Methodist Church’s General Boards of Higher Education and Ministry, Global Ministries, Church and Society, General Commission on Religion and Race, and General Council on Ministries. He has served on numerous boards of directors/governors including those of Wesley Theological Seminary, the Ecumenical Institute of Theology, Court Appointed Special Advocates (CASA) of Harford County, MD, the Board of Child Care of the United Methodist Church, the Patterson Memorial Association of Baltimore, and the General Commission on Religion and Race of the United Methodist Church (Co-chair of the Strategic Planning Task Force). He has also served as an appointed member of the Maryland Governor's Commission on Judicial Nominations (1996-2000) and the Harford County (MD) Advisory Commission on Mental Health and Addiction (1995-1998). After 12 years of service as a member of Wesley Seminary's Board of Governors, Dr. Hunt was honored in 2012 by being elected as a Governor, emeritus of the Seminary. 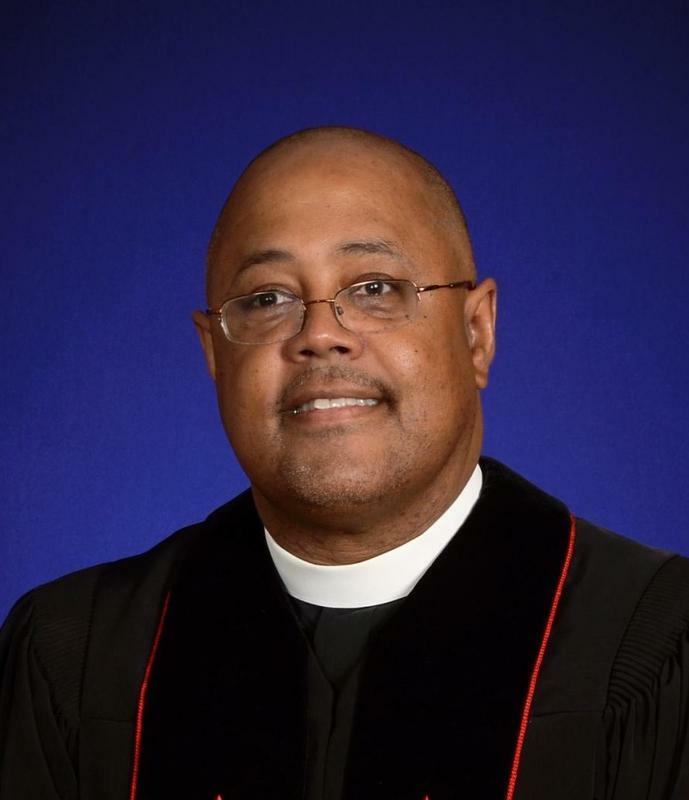 In the United Methodist Church, he is a member of the Board of Ordained Ministry of the Baltimore-Washington Conference and since 2016 has served as the Board Chair. He has previously been a member of the Conference Commission on Finance and Administration, Board of Congregational Life, and Commission on Religion and Race, among others. He has served as a faculty member for UMC New DS/CCD training (Multiculturalism) in Lake Junalaska, NC, and has been elected to both the Northeastern Jurisdictional and General Conferences of the United Methodist Church (these are the church's highest legislative bodies). Most recently, he has served as a member of the Baltimore County Executive's Clergy Roundtable on Public Safety (2015-present), and in 2017 he was the recipient of the distinguished Faith Leaders of Baltimore Award from the Alpha Phi Alpha Fraternity, Inc., Delta Lambda Chapter. Dr. Hunt is a public theologian and thought leader who has preached and lectured nationally and internationally, including in Zimbabwe, Southern Africa and Bermuda. In July 2014, he delivered the commencement address to the Course of Study School, Wesley Theological Seminary; in May 2015, he delivered the commencement address to the graduating class of the Graduate Theological Foundation in South Bend, IN; and in December 2015, he delivered the sermon for Baltimore's city-wide memorial service for persons who had died as a result of homelessness during that year. In January 2017, he was the plenary speaker for the 34th Biennial National Consultation of the Association for Theological Field Education in St. Paul, MN, and in September 2017 and 2018, he was the conference plenary leader and preacher for the Renew the City Conference at the University of Tennessee-Chattanooga in Chattanooga, TN. 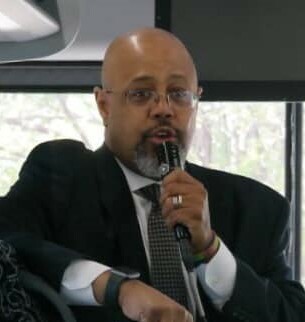 His work has been featured in various national media outlets including "Black Enterprise" magazine where he was featured in a May 2015 article for his leadership in Baltimore during the uprisings in the city that year; and on National Public Radio (April 2018) where he was interviewed on the occasion of the 50th anniversary of Dr. Martin Luther King, Jr.'s assassination. A prolific writer, he is the author of eight books: "Stones of Hope: Essays, Sermons and Prayers on Religion and Race, (vol. 3) (2017); "Keep Looking Up: Sermons on the Psalms" (2016): "My Hope is Built: Essays, Sermons and Prayers on Religion and Race" (vol.2) (2011); "And Yet the Melody Lingers: Essays, Sermons and Prayers on Religion and Race" (2006); "Blessed are the Peacemakers: A Theological Analysis of the Thought of Howard Thurman and Martin Luther King, Jr." (2005); "Upon the Rock: A Model for Ministry with Black Families" (2002); "The Black Family: The Church's Role in the African-American Community" (2001), and "Building Hope: New Church Development in the African-American Community" (1997); along with over 100 published articles and chapters on issues related to the church and society. Three upcoming books entitled, "Come Go with Me: Howard Thurman and a Gospel of Radical Inclusivity"; "Songs for the Seasons - Sermons on the Psalms" (vol. 2); and "Equipping the Saints: Leadership Development in the Black Church" are currently in development. Most recently, he is a contributor to the international publication "Scripture and Its Interpretation: A Global Introduction to the Bible" (Baker Books, 2017), edited by Dr. Michael J. Gorman, with a chapter entitled, "African American Biblical Interpretation", and in 2017 he self-published "The Beloved Community Toolkit", a resource for community-builders, organizers and teachers. In 2019, his chapter entitled, Martin Luther King, Jr and the Quest for the Beloved Community was published in the American Baptist Quarterly, and in 2005, his chapter entitled, “Martin Luther King, Jr.: Resistance, Non-Violence and Community” was included in "Black Leaders and Ideologies in the South: Resistance and Nonviolence", edited by Dr. Preston King and Dr. Walter E. Fluker (Routledge, 2005). He is an active blogger, and many of his writings can be found on his blog at www.newurbanministry.blogspot.com.